During my earliest days on the internet I found myself gravitating into leadership positions within my communities. I always wanted to make a positive difference and help people around me. I was a forum moderator on multiple forums I frequented. I volunteered for many years—starting in 2007—on a forum for a pair developers known as Tale of Tales, with such titles as The Endless Forest, The Path, and Sunset. In my spare time in college, where I studied Photography for two years, I found myself bouncing around games such as Zoo Tycoon and Minecraft. I really enjoyed building and creating my worlds from the ground up. After graduating I continued doing freelance photography and worked for a period of time at the Poverty Research Centre in Administration and Social Marketing Support. I was tasked with organizing meetings, assisting with social media by tracking and cataloguing media coverage, sharing relevant information on the Facebook fan page, organizing and inputting data into spreadsheets for database usage, and creating promotional and educational material in the form of documents, posters and slideshow presentations. It was here that I settled my roots in my interest in social media and in helping people. I didn't know it at the time, but my enjoyment of those things and my joy for video games would soon come together. It was very natural for me that when I learned about and subsequently fell in love with ARK, I worked my way up the ladder to become a forum moderator for that too. 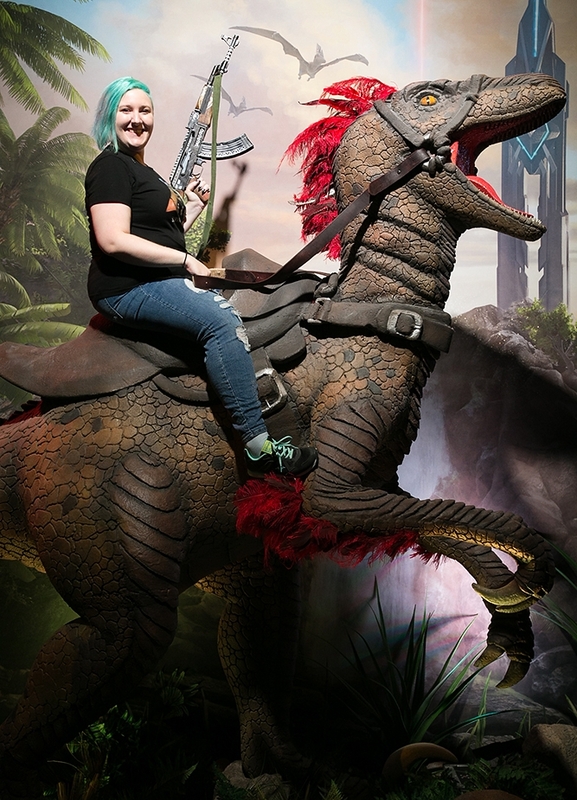 I began my ARK adventure as a volunteer tester, responsible for testing content with a remote test group before the content was sent out to players. My dedication to my volunteer position as a tester and as a forum moderator led the ARK developers to take notice of my enthusiasm and skills and I was hired in December of 2015 as Assistant Community Manager. Now as Senior Community Manager I am responsible for communicating information between Studio Wildcard and the ARK community. 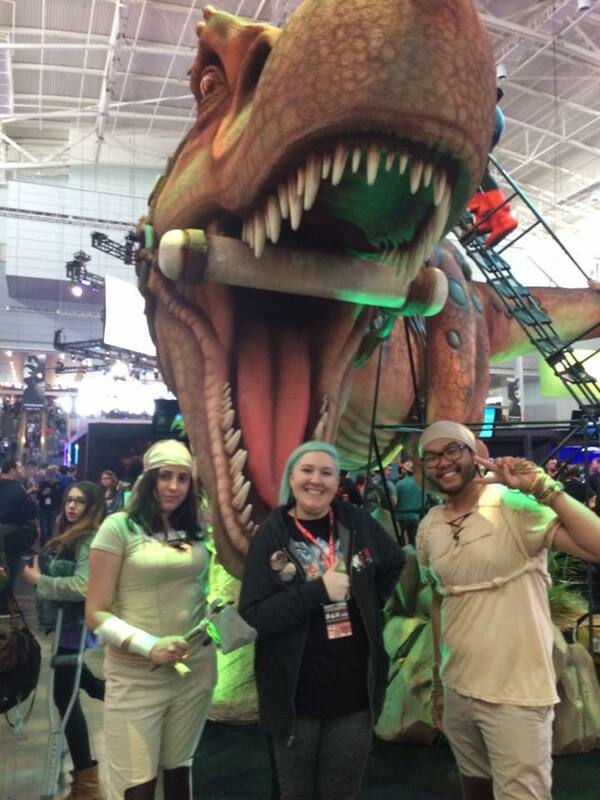 I do so on our official Twitter @survivetheark and on my own work account @bubblywums. I am also active on our website survivetheark.com as well as our Steam community. I help manage our Twitter, Facebook, Reddit, and Instagram accounts on a daily basis. I assist in the publication of marketing of new content by creating promotional material in the form of posts onto our social media accounts and our own website. As a member of the Quality Assurance team I participate in making sure all content is up to standard and is working as intended. I work directly with the lead developers, designers, programmers, and engineers on a daily basis. I have worked with PC, Xbox, PS4, Nintendo Switch, and iOS, which includes working with testkits, devkits as well as TestFlight. My first convention I'd ever attended, I hosted multiple live-streams over the convention as well as live-casted tournament style games of Survival of the Fittest to thousands online. 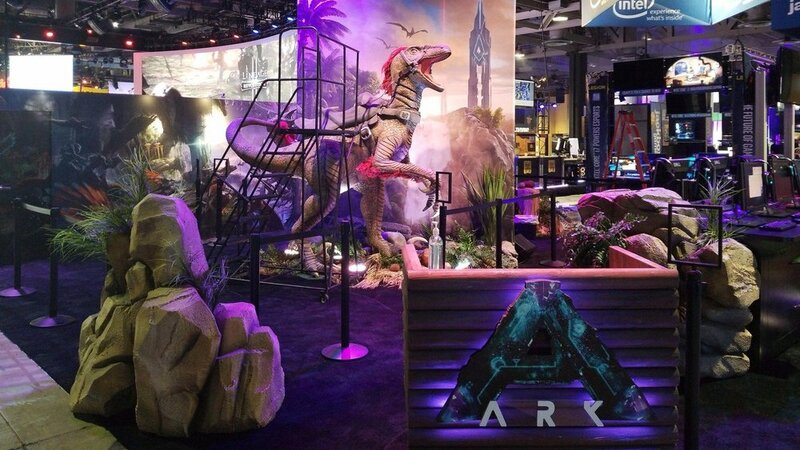 I also spoke with many fans and interested gamers about ARK while on the convention floor. 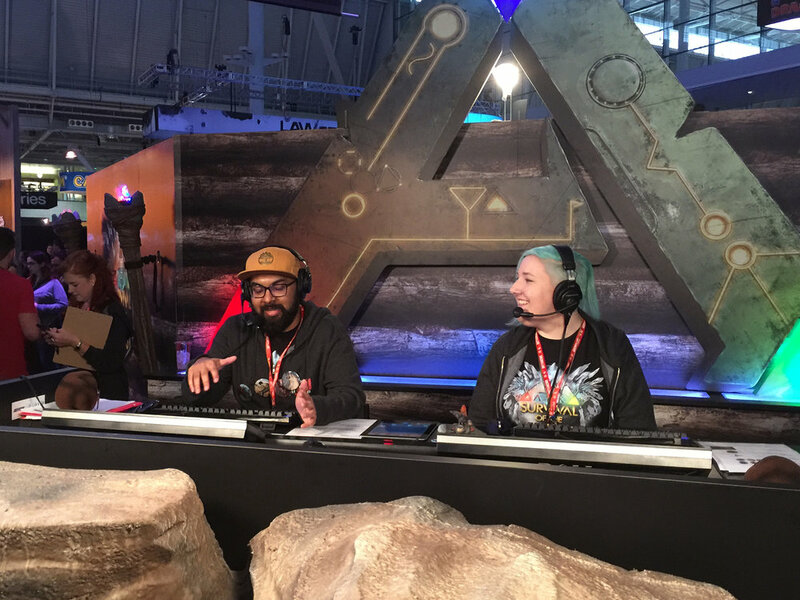 Back in front of the camera hosting daily live shows to start off each day of the convention, keeping players informed of what was going on during the convention and doing interviews and live gameplay throughout the weekend. 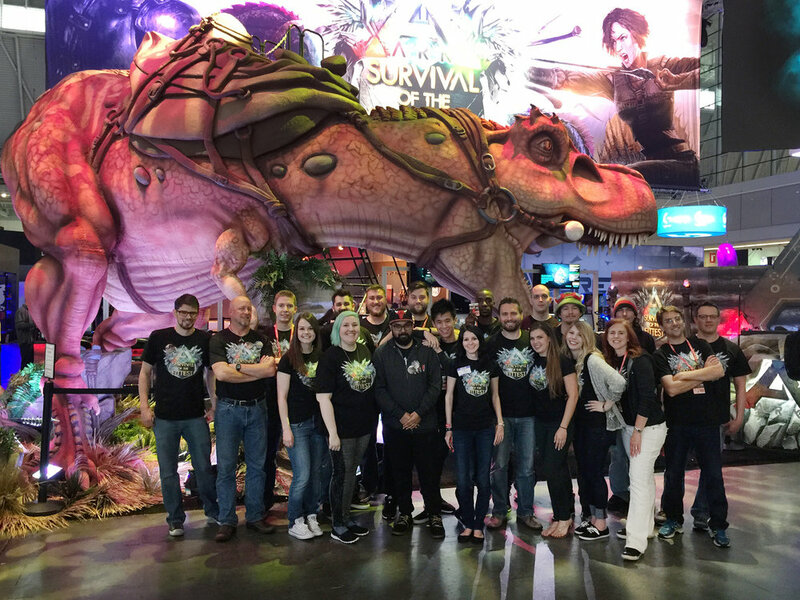 Sent as the ambassador from Studio Wildcard, I embarked on a journey from Canada to Shanghai to attend an event for Survival of the Fittest at the largest digital entertainment convention in the region, ChinaJoy. I served as both the English commentator for the competition as well as the Judge or 'Game Master'. Participated in the technical production that allowed gamers to livestream their gameplay from our booth as well as communicated with players and influencers throughout the convention.